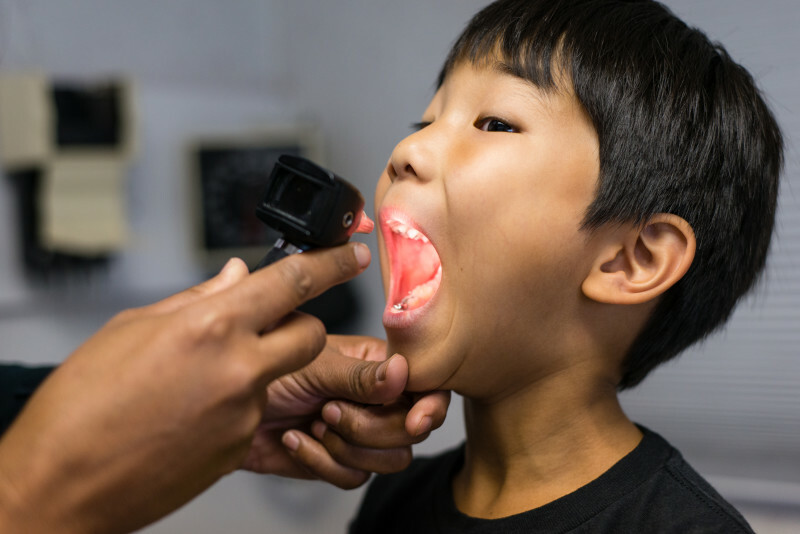 "There's clearly more work to be done if this many kids are going to the emergency department," said Anne Kelsey Lamb, director of the Regional Asthma Management and Prevention program of the Oakland-based Public Health Institute. "We know a lot about what works. We absolutely should be able to reduce the rates we're seeing." The good news is fewer kids are actually being admitted into hospitals. Overnight-or-longer stays are declining statewide and nationally. That's due largely to better medicines and more aggressive treatment in the ER, asthma specialists say. Some families seek treatment in the ER for symptoms that easily could be dealt with in a clinic because they can’t get a timely doctor's appointment or don't have a regular doctor – especially those without health insurance. Sometimes, a bad cold and flu season can aggravate asthma that is usually well-controlled. While particulate matter and ozone air pollution levels are declining somewhat in the region, they still can be high enough to trigger asthma attacks, said John Capitman, a California State University-nono public health professor and executive director of the Central Valley Health Policy Institute. In Los Angeles, the same holds true, although particulates are slightly lower than in parts of in the Central Valley. It worked for Daniel Lee, 5, of Buena Park, who was still experiencing severe asthma symptoms after five trips to the ER last year. It turned out the doctors at the hospital had mixed his medications incorrectly -- a common mistake when kids are treated in emergency rooms rather than by asthma-trained pediatricians, said Dr. Olga Guijon, associate medical director of the Breathmobile for Children’s Hospital of Orange County. Though often effective, these programs are expensive and can't serve enough children to make a real difference statewide, Capitman said. 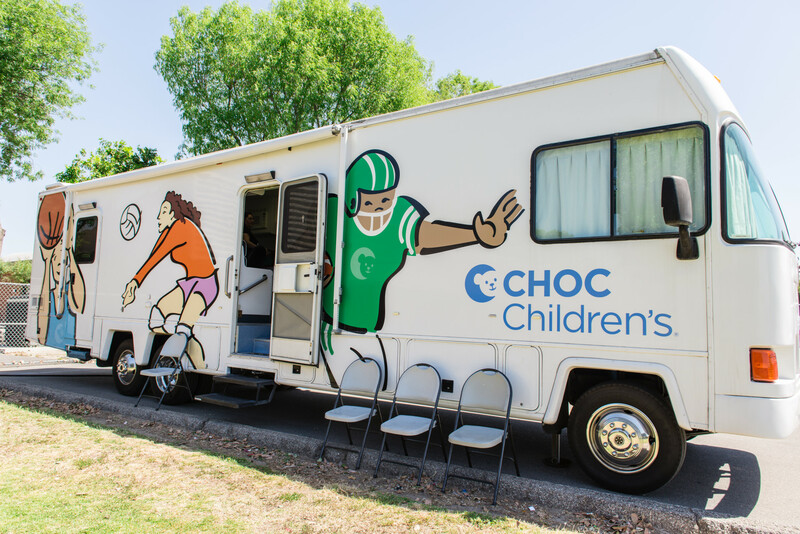 And health outreach workers have found it difficult to get reimbursed by insurers, including Medi-Cal, for proven strategies including home visits to minimize risks, Capitman said. Dr. Amy Harrison, a pediatric pulmonologist at Children's Hospital Orange County, suggested that the recession had driven some families to her hospital's ER, because they had lost their insurance or had high-deductible insurance that led them to forego prescriptions and regular doctor visits. Because the data don’t extend beyond 2012, it remains unclear how expanded coverage offered since last year under the Affordable Care Act and California's Medicaid program will affect emergency room visits. But experts like Capitman hope to see more funding for programs that manage or prevent asthma symptoms through the Affordable Care Act's Prevention and Public Health Fund. But some families simply don't know how to manage their child's condition at home, or know when to seek medical care before an ER visit becomes necessary, said Dr. Rami Keisari, medical director of the Pediatric Asthma Disease Management Program at the county-run Santa Clara Valley Medical Center in San Jose. "One of the biggest challenges we have is getting parents to use the medications every day," Keisari said. "We have a really hard time convincing parents that this is a chronic condition." Some of the few large counties with declining ER visits have invested heavily in targeting kids who are at risk. Alameda County children who have been treated in ERs are referred to the county's free Asthma Start program, which offers free home visits during which health workers identify asthma triggers, offer education and provide equipment such as spacers and nebulizers – even vacuum cleaners, said program director Brenda Yamashita of the Alameda County Department of Public Health. Parents learn to freeze stuffed animals to kill asthma-triggering dust mites, track their children's symptoms on a calendar, and clean surfaces without bleach, which can aggravate symptoms. Alameda Alliance for Health, the county's public, nonprofit health insurance plan, reimburses Yamashita's program for home visits. For parents in substandard rental housing, staffers call on the county's Healthy Homes department to press landlords to get rid of vermin, fix leaks and address other code violations. In Santa Clara County, Keisari's staff keeps tabs on kids for as long as three years. Every month, a public health nurse calls parents and asks about their children's symptoms and medications. The county's overall child ER visit rates are low compared to other counties. Even so, the number of children the program serves is limited compared to the need. 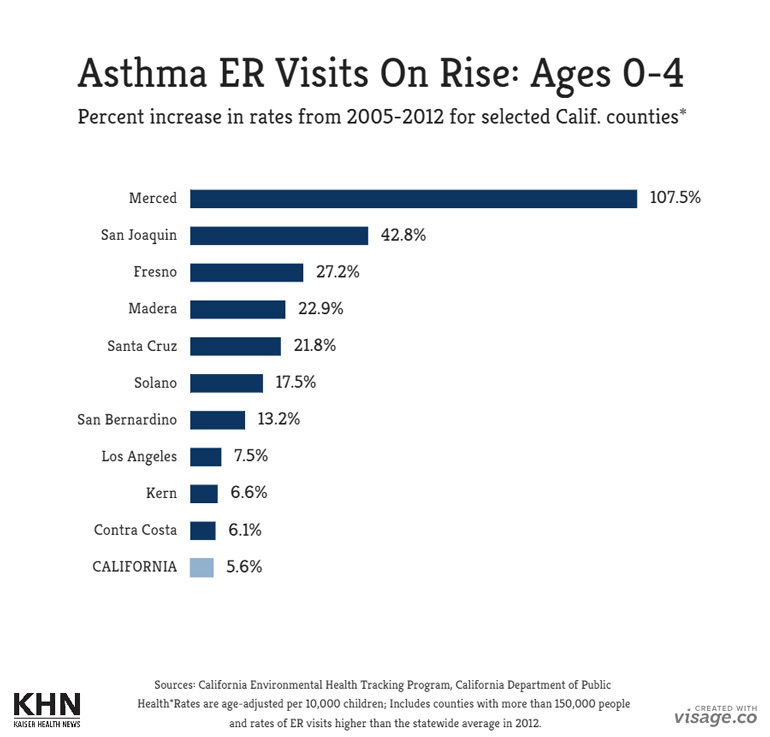 And while the county's asthma ER visit rates declined by 21 percent for children under 5, they rose 12 percent for children aged 5 to 17. "We're doing better with all these programs, but is it adequate? No. 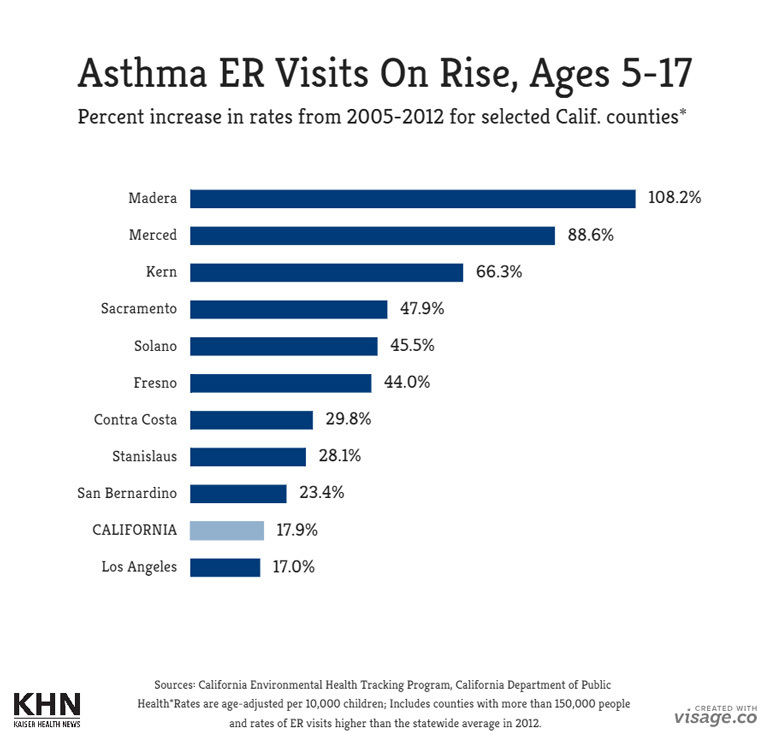 Every time a kid winds up in the ER with bad exacerbation of asthma, it's a failure," said Stanford University child health policy researcher Dr. Paul Wise.